I am often asked to create workshops to help people engage with a subject in a fun and creative way. 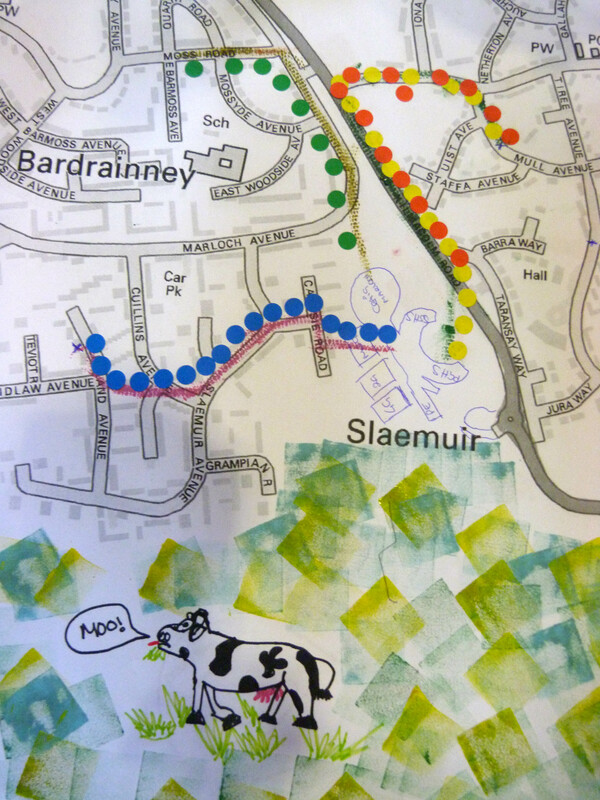 This time was was asked by Cycling Scotland to develop my travel planning art sessions, this time for secondary age students. I designed the sessions so the students could try some different techniques on maps of their local area to make travel planning fun. The students were free to come up with their own ideas and think about how to implement the ideas within their school. The students were having fun and discussing travel planning without realizing it. 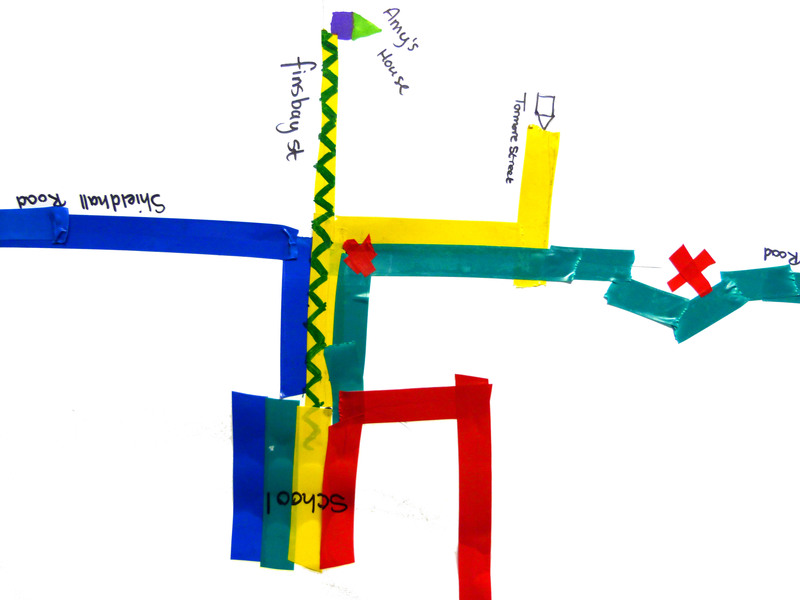 Electrical tape tube maps – inspired by the electrical tape drawing we did in Glasgow Green during the common wealth games. 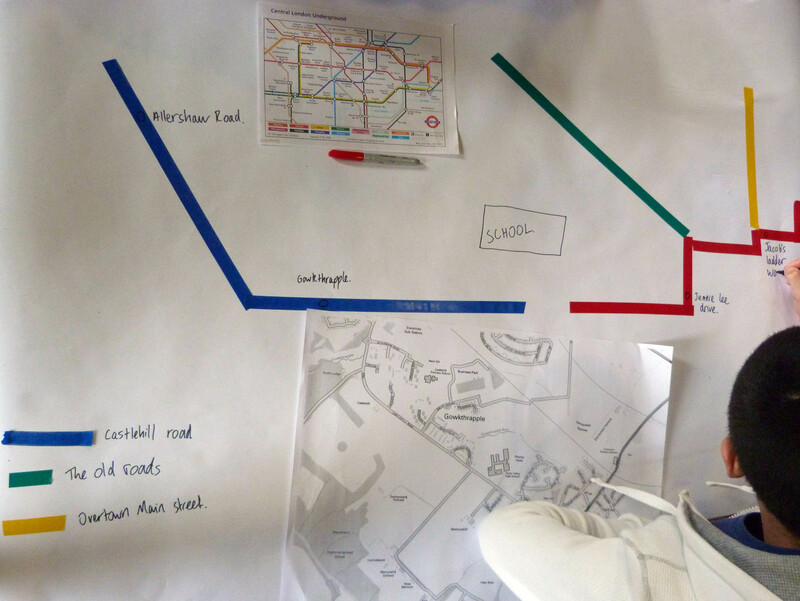 Students used tube maps as a reference to create simplified maps of their cycle routes using tape to draw with. Ideas generated – the activity could be upscaled onto a corridor of the school or painted onto the playground to make a big impact and raise awareness of the safety issues. 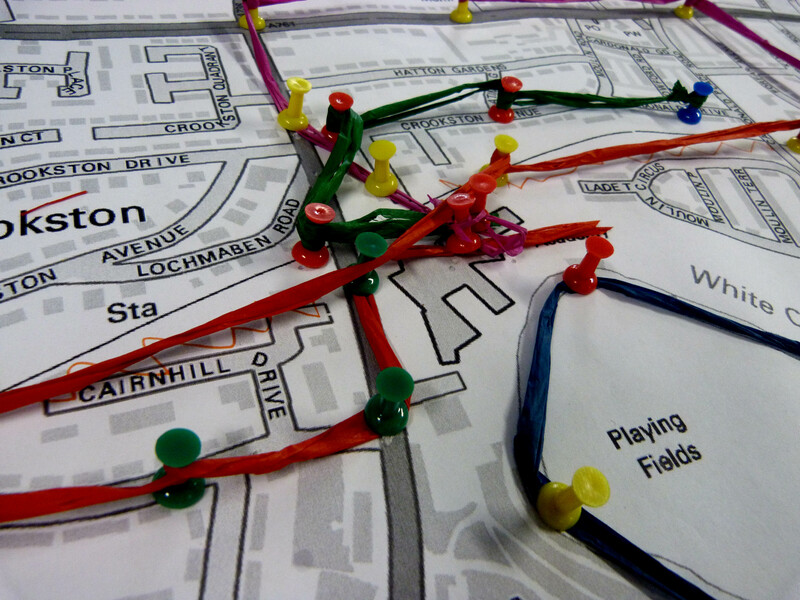 It could look great with lots of different routes mapped out and would be fun to take part in. 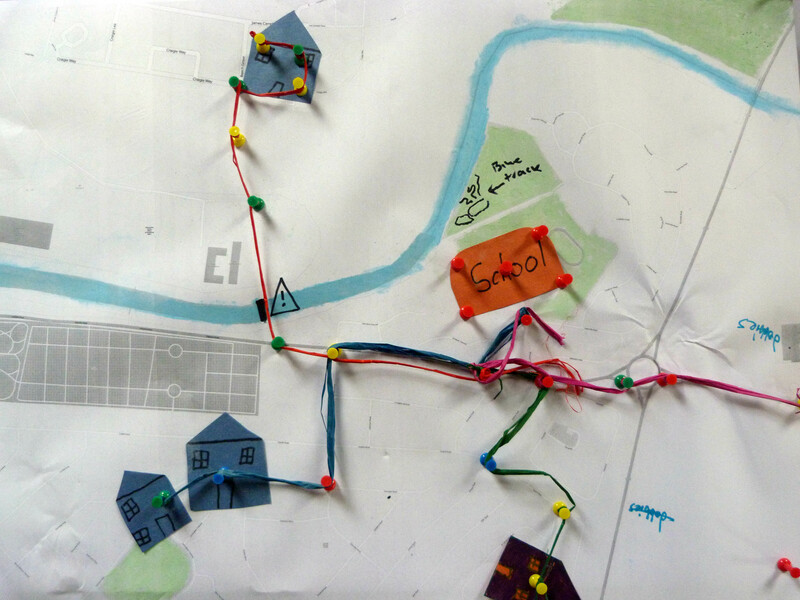 Pin board maps – inspired by pin art, the students used pins and string to map out their routes. 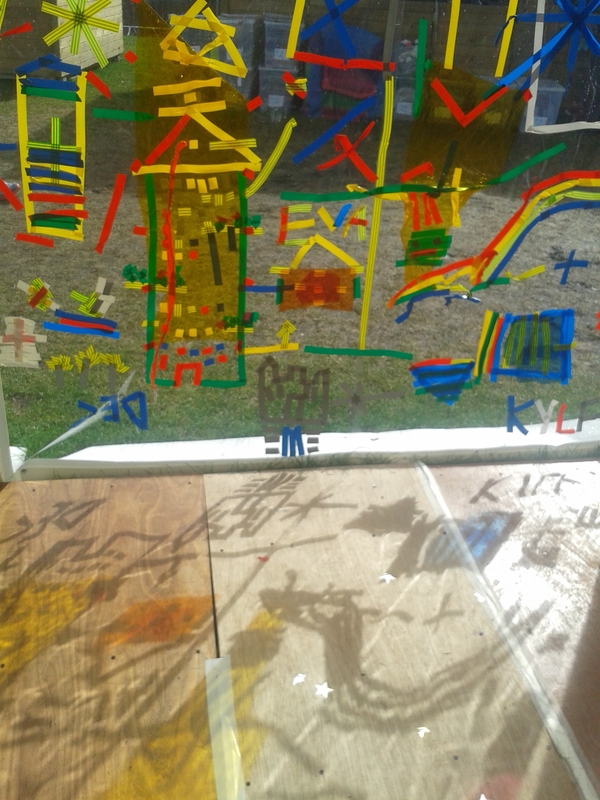 Ideas generated – Again if this was unscaled onto a wall in the school it could make a big impact and make an attractive artwork for the school. 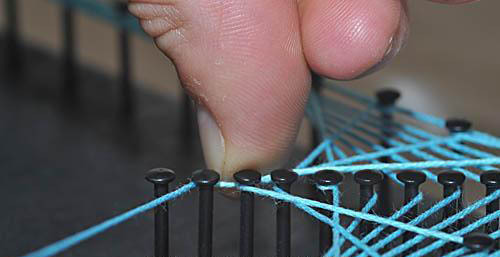 Nails could be used instead of pins to make the activity more fun and make the routes more permanent. 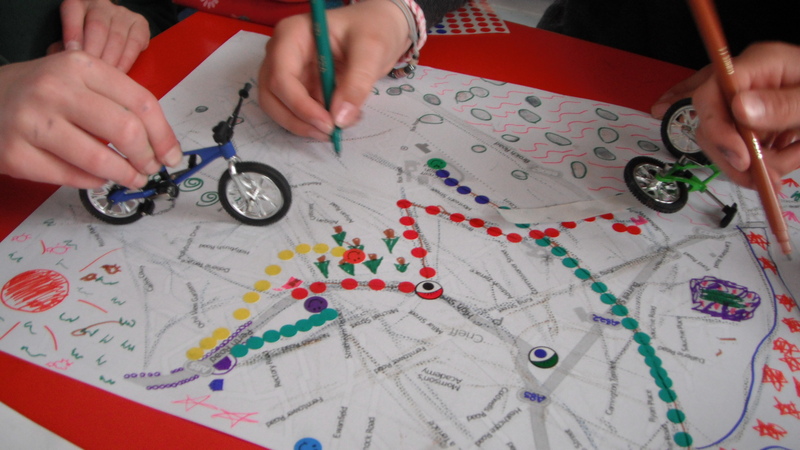 Mini stunt bike trails – using finger bikes rolled across ink pads to mark out the safe cycle routes. Ideas generated – This activity could be made to appeal to secondary age student with a couple of adjustments. A huge map could be used and instead of mini bikes full size bike wheels could be used with paint instead of ink pads. The students have now been introduced to the basics of travel planning and have some ideas of how to engage people in their local area with the concept through fun and creative activities.